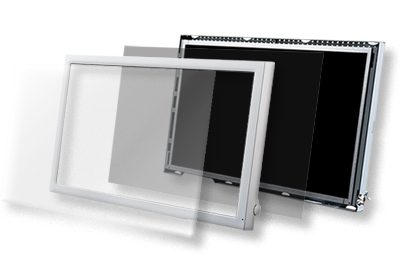 Diva has over two decades of experience delivering high quality, precision displays to meet the exacting needs of our ODM and OEM customers worldwide. With various qualified platforms and superior component sourcing management, Diva offers customer the widest selection of display products with minimum development time to enable delivery. Diva provides customer combination of different offshoot solution. This allows customer to fully customize their product by size, solution, housing, touch technologies etc. Well-Developed & Tested Platforms like Realtek, MorningStar, ST, Xilinx are offered to customer based on their requirement. Furthermore, Diva patented Calibration feature could offer ODM to equip Modality display which meets Din6868-157 requirement with faster development time. All Diva's products are managed with superior revision control system and ensured supply during transition time. Diva offers product with longer life cycle to fulfill customer's need and be worry-free about product sustainability. DIVA medical grade displays meet EN/UL 60601-1 Medical Safety Standards and all relevant electromagnetic compatibility (EMC) rules as well as other established regulations and certifications. Following customer requests, any further safety regulations can be fulfilled.